Solid pinewood table easel. 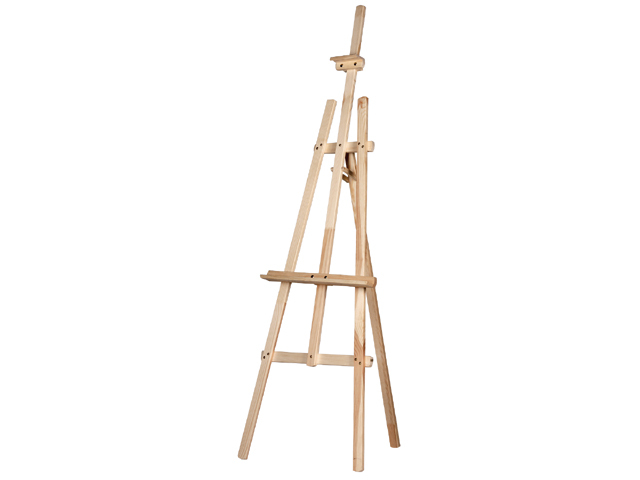 For optimal work this easel has a centre pole with a canvas carrier that can be adjusted in height and angle. 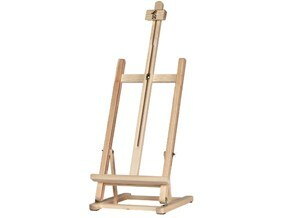 Thanks to the foldable base the easel is easy to store.